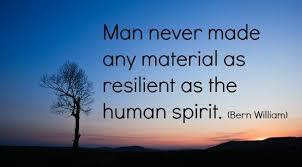 Resilience is like an elastic band or a rubber ball. You can stretch so far before it pings you back with a snap to reality. It keeps you from going over the edge. It's an important key to the survival of trauma. The bouncebackability. It's a bit like the story of the tortoise and the hare, the tortoise keeps going and going until he reaches the end of the race. 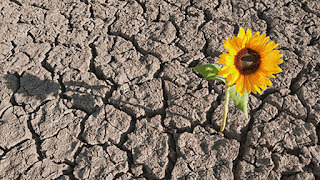 Resilience keeps your feet taking each step, walking towards optimism. 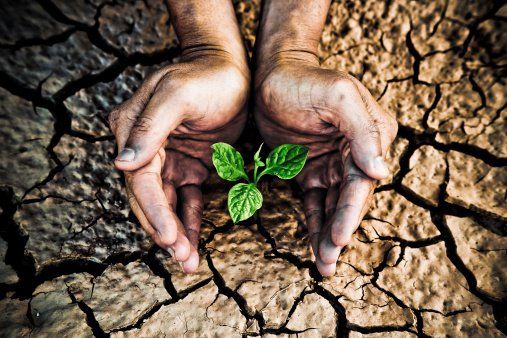 As someone who has experienced trauma and loss and suffered with challenges to her mental health throughout the years as a result I remain ever curious about mental stability and optimism and resilience. I believe that mental stability is tightly intertwined with optimism and resilience, well it certainly has been that way for me. The other thing that fascinates me is how our layers of mental health peel away throughout our lives. Just when we think we know who we are circumstance peels away another layer bringing more learning and more healing. A period of stability is like a reprieve before the next layer is peeled, or ripped, away leaving you raw and finding ways to smooth the edges again. Mental health is something we fear in our culture. We talk about it in hushed voices. We brush feelings under the carpet in a desperate attempt to cling hold of normality and stability. We see mental illness as a weakness, something to apologise for, something to hide from other people. The inevitable crash when it comes from hiding all those feelings is often a surprise. What I've learned in my life is that crisis, healing and learning come in waves. Some of the waves are like tsunamis and some are ripples. The important thing is to never delude yourself that you are healed. Being healed implies a journey that is completed, a final destination, an end game. We are sold an ideal of reaching self actualisation, the pinnacle of self learning but maybe self actualisation comes with acceptance. Being able to accept that we are an onion, ever peeling, ever learning, ever changing and riding those waves with the knowledge that each wave teaches us more about who we are, who we were born to be, what we are here to learn about being human. Not being fully healed doesn't mean you can't still be happy either. As adoptive parents we live in a world brimming with trauma. Our trauma, our children's trauma. We may be well on the way to healing our own trauma but slowly they intertwine like laced fingers and it's hard to see where one stops and the other one starts. It offers empathy but can also bring out the worst in us all as we react and take on their trauma and come to understand our own triggers. We see our darker side and that of our children more than we care to admit. Trauma and fear are travelling companions. We fear the future, we fall into the trap as parents of feeling we have to cure our children, heal their trauma as quickly as possible, forgetting that their onion layers will continue to peel throughout their lives as well and that time really is the greatest healer of all. Their experiences, past, present and future will expose their inner rawness piece by piece and they will heal each layer as it is revealed to them. If we are able to accept this journey takes a long time some of the fear is able to dissipate and we can focus on creating a stronger elastic band to help pull us back from the edge in times of need. That elastic band might include family and friends, support groups and a good therapist. It might include favourite songs, books and movies that help bring perspective and healing and hope. A period of time on antidepressants may be needed. A favourite smell can bring comfort. It might include the knowledge that experiences are ever flowing, ever changing. Nothing stays the same forever. The sun rises and the sun sets. The tide flows in and out and the beach is never the same two days in a row. That knowledge and understanding is what opens your eyes each morning in times of distress. The hope that the landscape will change and we will see things differently and feel differently about what we see. 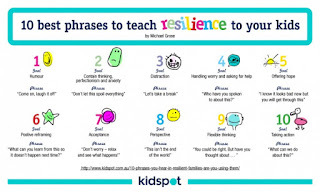 As parents I feel we need to help our children develop resilience. Each of us are born with different amounts in our personality I think. Many of our children have experienced challenges beyond our understanding yet still they are able to smile, to laugh, to open their eyes each day. The trauma they have experienced may bring them daily challenges that seem insurmountable and are slow to heal. Too many layers of that onion were left ripped open when they arrived with us. We worry about how to help them. We live with the reality of leaking trauma. We love them and want to heal their pain. We have high expectations of what we can achieve in a short space of time because we have so much nurturing love to offer. We feel sad and angry when trauma stands in the way of attachment and our own trauma stands in the way of understanding. We feel scared that we cannot help and sometimes sadly we can't in the short term. 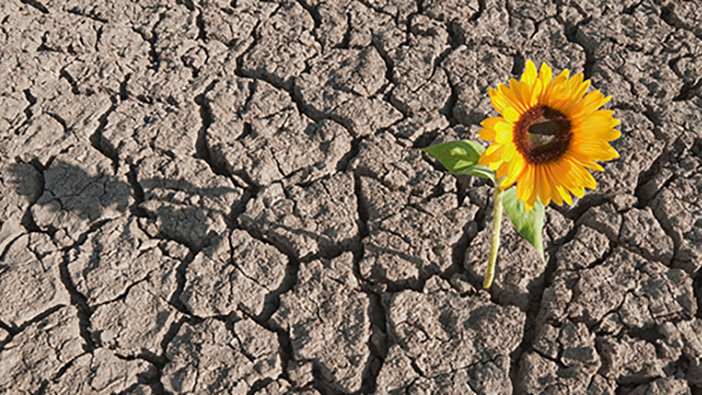 Our own resilience can become tattered and torn but it's still there. If you look carefully you can see it out of the corner of your eye and it's important to nurture it, to take time to look after yourself so you can share with your children how to help yourself stay strong. We can be the best teachers of this. One thing I've learned in my life is that I have resilience in bucket loads. It came as a flash of realisation recently. It's something I've always had. Is it just my personality or is it something more? Personality does play a part but for me it's being able to hang on to the love I experience from my Grandmother. In the never ending storm that was my earlier years she stood there and loved me. She loved with without fanfare or requests for recognition. She gave me the biggest gift a person can give, unconditional love. I didn't know that during the turbulence of my childhood. It is only with the wisdom and clarity age has brought that I can see my life and the experiences that shaped me along the way. I can see the gift she gave me and how it gave me a layer of protection. I also had the ability to tune everything out. Nowadays we would recognise that as an insecure attachment disorder but don't knock it. That kept me safe throughout my childhood until I was mature enough to peel that layer away. Actually I've discovered there is more than one layer to examine on that subject but I keep that wave in mind and get out my surf board when the waves build up. Becoming a parent to adopted children has ripped a few layers off just at a time in my life when I thought I'd peeled and examined most of them. It turns out I had some big layers still left to deal with and being a parent was necessary to face some of the big ones. I fought them with my armour of optimism. I've been brought to my knees as I've faced some of the darker elements to myself. The ones I swore I'd never be but trauma and fear does that. It sneaks into you and impacts on your reactions. I've had to face the demons my own abusive childhood as my daughter expresses her anger. Unresolved trauma sees fear in many situations. Living with that violent anger taught me I'm still afraid of anger, my anger, her anger so it was time to peel that layer off and get to work in it. Learning to pause and feel and hold my inner child before reacting is an ongoing lesson that I'm really getting to grips with. I thought I'd dealt with that issue but my daughter has taught me that there was more work yet to do. I've had a few light bulb moments and I've also started to learn I have to accept that this never ending personality peel is part of the journey. I'm learning about myself all the time. I'm learning that I've still a long way to go. I'm trying to accept that I make mistakes and there are parts of me that weren't what I thought they were. Most of all I've realised that parenting isn't a race against time. As adoptive parents we need to be the tortoises. We need to set our children up for the whole of their lives, not just for their childhood. 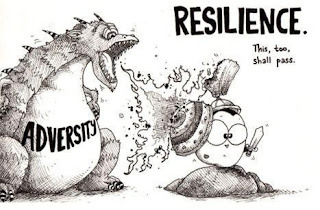 Helping them develop their resilience is a big part of that. 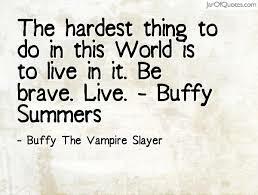 As Buffy the Vampire Slayer once said "The hardest thing in this world is to live in it". Once we know that it won't come as a surprise or a disappointment so we can slowly teach our children how to self soothe and nurture, help them find what works for them, and to find perspective amongst the perceived crazy inside their heads and how to take care of that elastic band and whilst we're doing that we'll learn some interesting things about ourselves too. 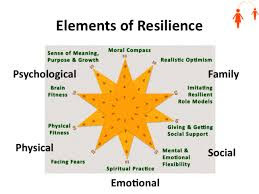 I love what you say about resilience and like Becky has said it's not something I have thought about it my children, but it is something that is really important. 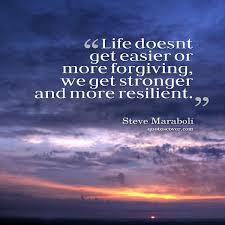 In life you have to be resilient, because it can be tough. What a touching and honest post, thank you. I was talking about this with my husband earlier that dealing with pain and difficulties is the way to grow and learn (the analogy we came across was a lobster who gets too big for it's shell, experiences pain, has to make it's self vulnerable by shedding it's shell to take on a new bigger one and then having the chance to grow again). As I get older I think self actualisation is more about knowing yourself and self acceptance. 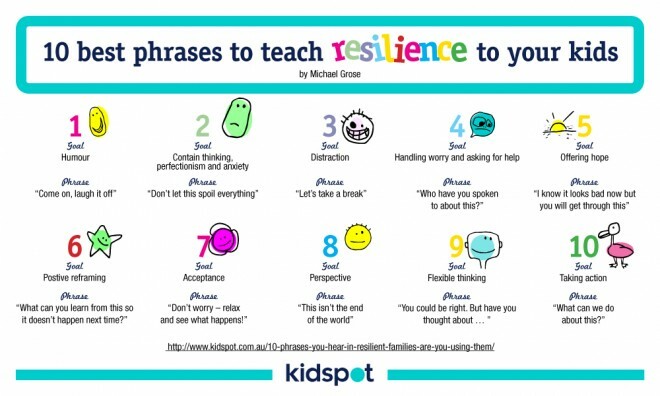 My daughter's school is focusing on resilience at the moment and I think it is great for them to think about this at their age. I don't think I am very resilient and allow myself to get knocked by things that I could probably deal with better. So I have been thinklng about this recently. I love the phrases - I'm going to practise using them! The truth about modern adoption?